1. Once again, with more than twice as many hits as any other review on the site: Jo Nesbo’s THE REDEEMER, always a surprise since it is not my favorite Nesbo novel (THE REDBREAST is). 2. 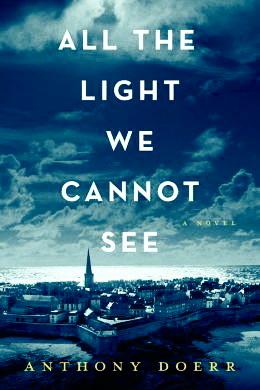 Winner of the 2014 Pulitzer Prize for Fiction: Anthony Doerr’s ALL THE LIGHT WE CANNOT SEE, set in Saint-Malo, France, in the waning days of World War II. 3. Zachary Mason’s THE LOST BOOKS OF THE ODYSSEY, with many of the hits focused on the map of the real places Odysseus visited on his journey, which is included with review. 4. Alan Paton’s THE HERO OF CURRIE ROAD, the complete collection of Paton’s short fiction, mostly autobiographical. This one always surprises me since this book has never been published in the US or UK, though it is readily available on Amazon/South Africa. 5. 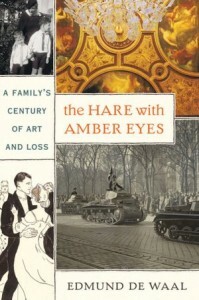 Winner of the Costa Award for Biography in 2011, Edmund De Waal’s THE HARE WITH AMBER EYES, the search by an artist for his family’s heritage after World War II. 6. Kamila Shamsie’s KARTOGRAPHY, set in Pakistan, a study of friendship, love, and roots. 7. 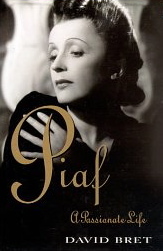 David Bret’s PIAF: A PASSIONATE LIFE, a biography of the Little Sparrow. 8. Jan-Philipp Sendker’s THE ART OF HEARING HEARTBEATS, set in Burma/Myanmar, where a young woman searches for her father’s roots. 9. Abdulrazak Gurnah’s PARADISE, an oldie which was a finalist for both the Booker Prize and the Whitbread Prize in 1994, set in Tanzania. 10. 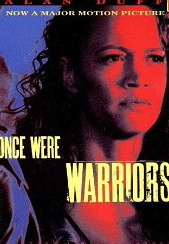 (Tie) Alan Duff, ONCE WERE WARRIORS, a classic from 1990, which illustrates the plight of the Maori of New Zealand who are now living sometimes desperate lives in the city. 10. (Tie) Winner of the National Book Award for Fiction in 2012, Louise Erdrich’s THE ROUND HOUSE, which contrasts the current lives of Native Americans (Chippewa) with their past. Postscript: Out of curiosity, I scrolled to see the least popular reviews, many of them old, and one, near the bottom, struck a particular chord with me – a powerful novel written back in 2004 by Irish novelist Ronan Bennett, which received rave reviews. Set in northern England in 1630, during the time of Charles II, a hundred years after Henry VIII officially ended Catholic rule, HAVOC IN ITS THIRD YEAR, focuses on what happens in England when a group of devoutly religious leaders form a new, secret ruling group so they may impose their own, much stricter religious beliefs on the population. The author’s own experience as a Catholic growing up in Northern Ireland almost certainly influenced his point of view: When he was eighteen, he was convicted of murdering a policeman during an IRA-led bank robbery, a conviction which was later overturned.